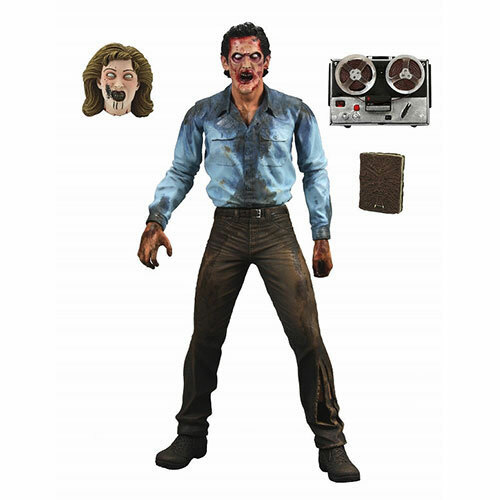 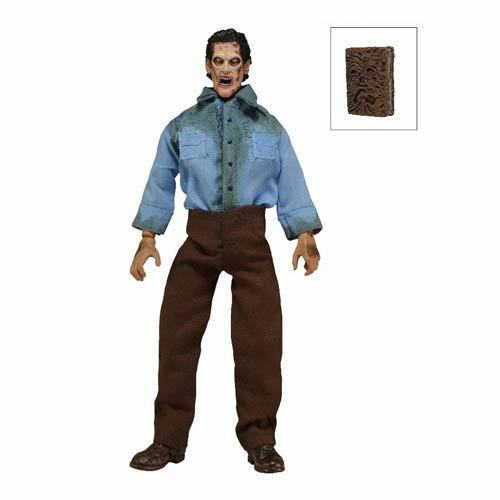 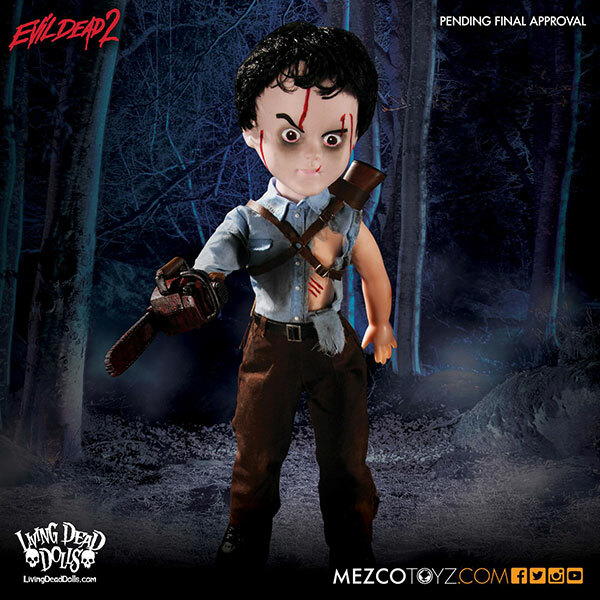 With the popularity of the Evil Dead films several toy & figure companies have created their own lines of Evil Dead figures. 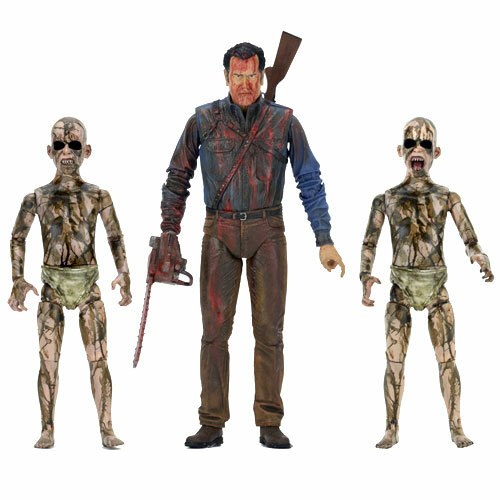 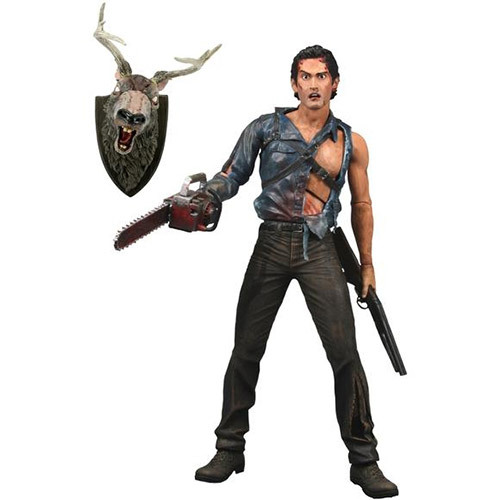 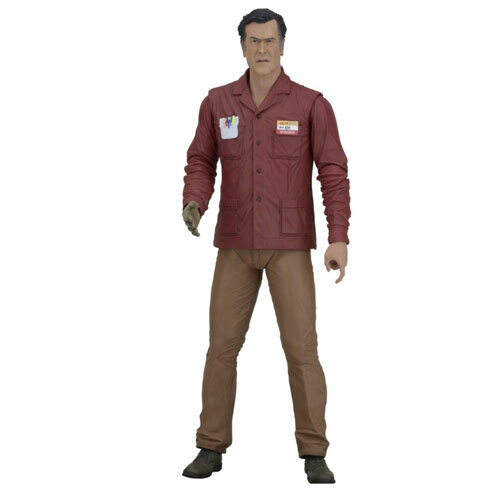 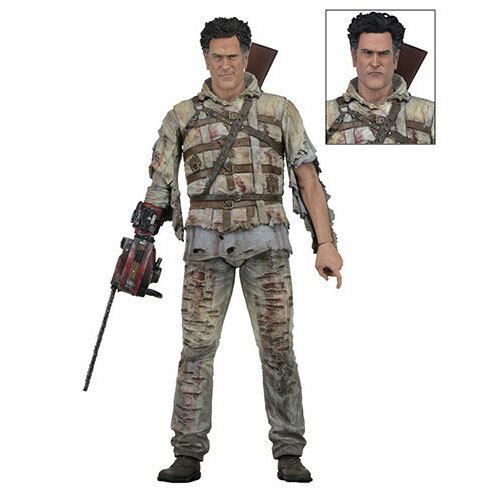 These figures have mainly been based on Army of Darkness since it was the easiest license for toy companies to acquire but in recent years Evil Dead 2 figures as well as Ash vs Evil Dead figures have been released. 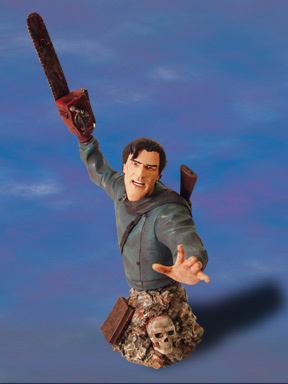 NECA, one of many collectable toy manufacturers first utilized the Army of Darkness license with head knocker figures of all things. 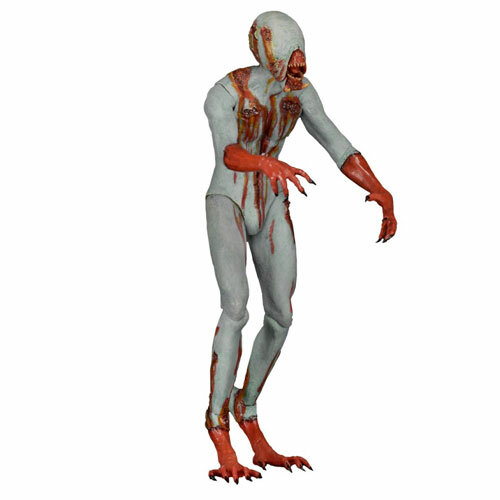 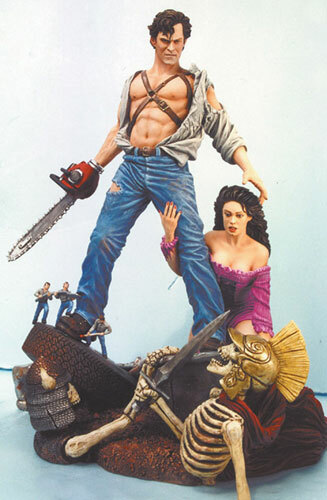 They then moved on to producing a series of highly detailed cult classic figures similar to McFarlane’s Movie Maniacs. 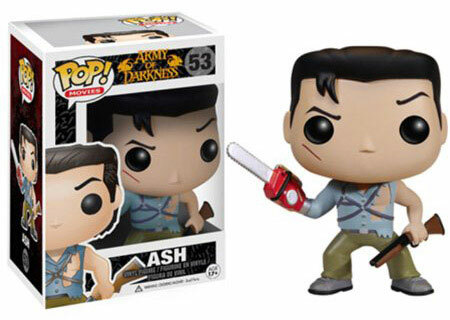 They seemed to be the first company to get Ash’s likeness down. 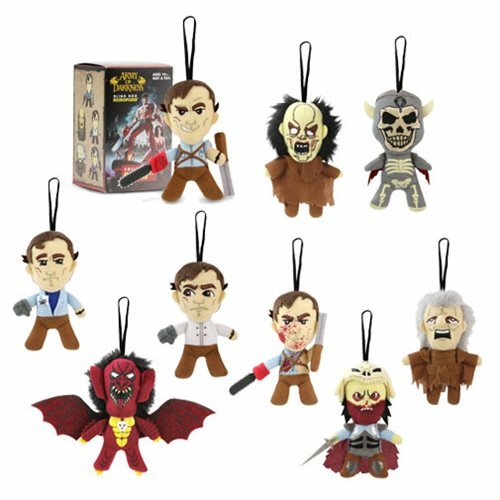 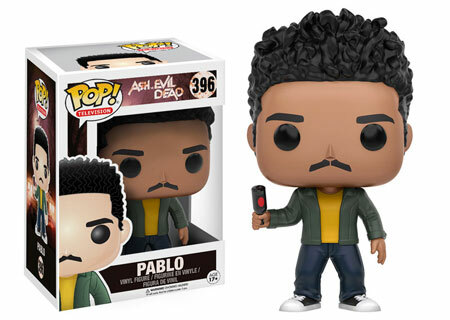 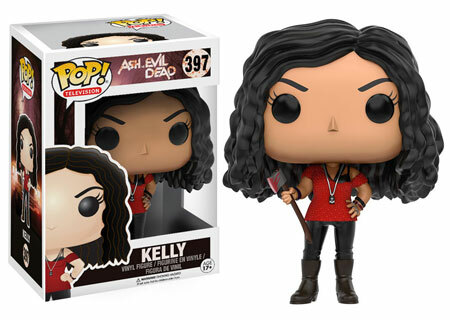 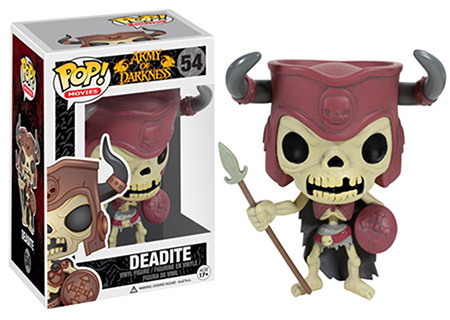 Funko, or FunKo, is a company that manufactures and produces a wide array of licensed pop culture toys including Army of Darkness vinyl toys. 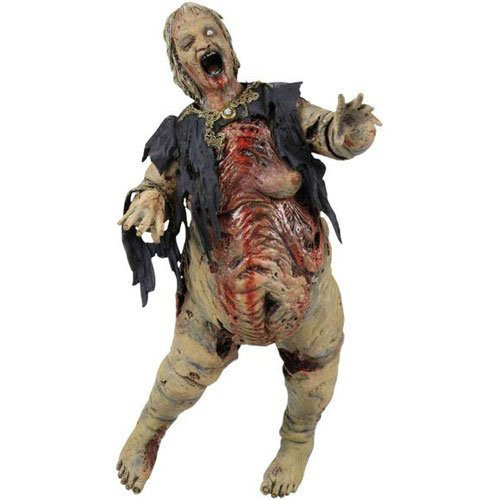 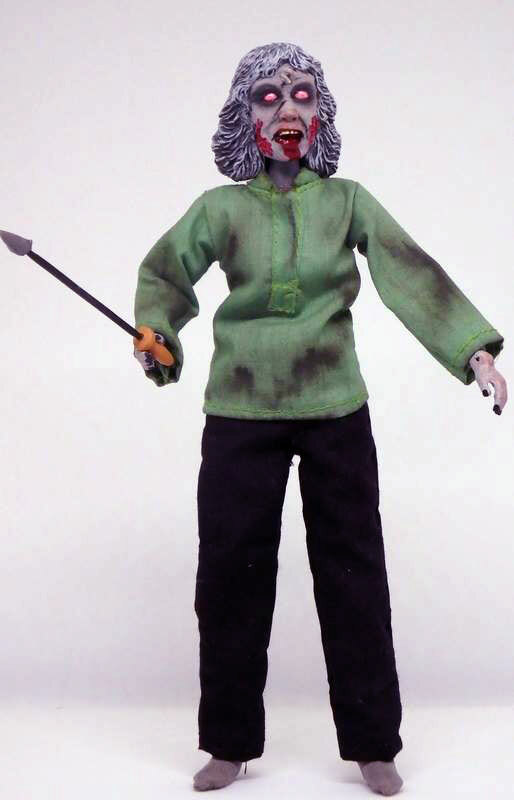 An independent toy company that makes custom handmade action figures and collectibles for horror and sci-fi movies. 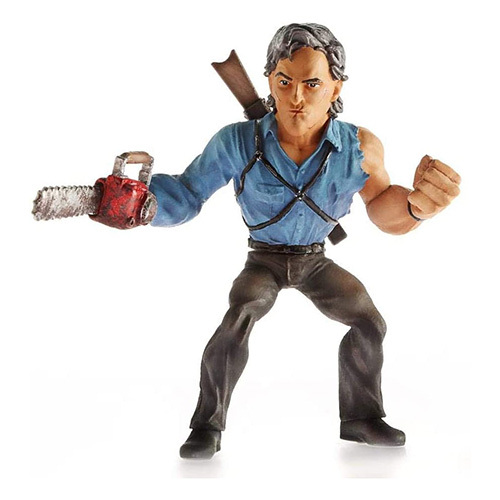 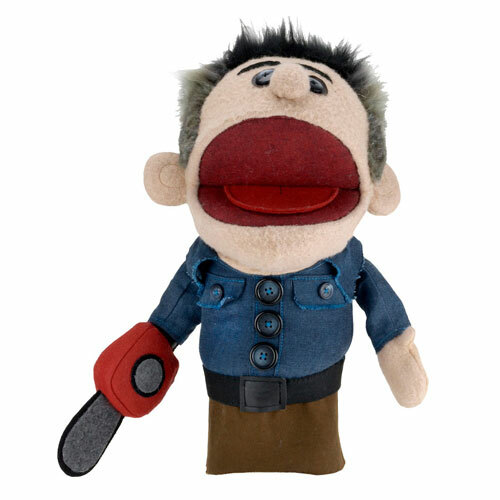 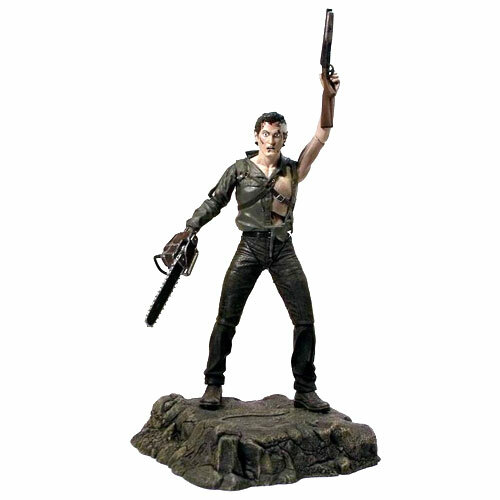 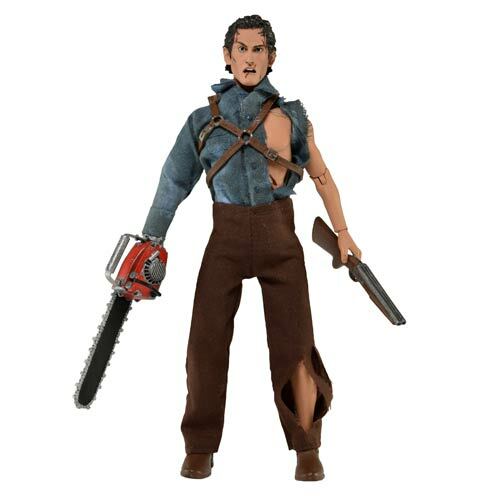 A pop culture vinyl figure and apparel company released an Army of Darkness Lost in Time Ash figure as part of their Kasual Friday Superstar series in 2016. 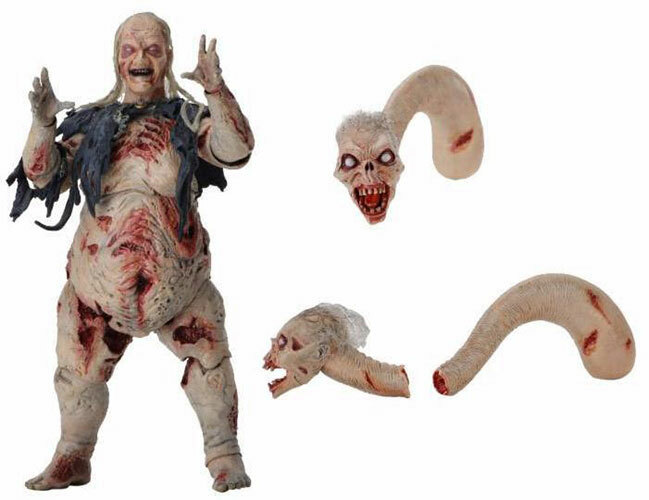 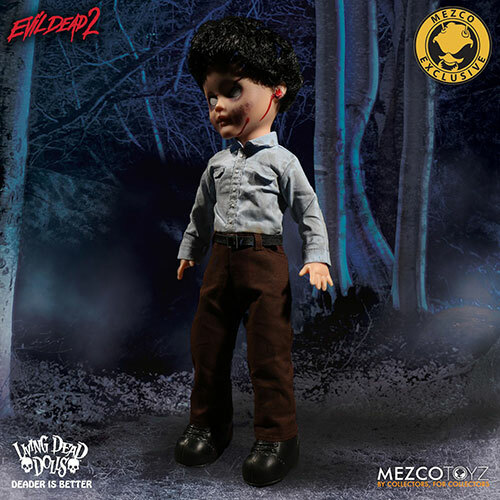 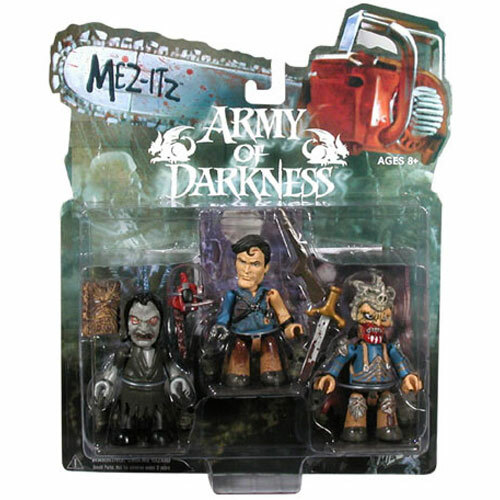 Mezco Toyz, a popular collectable toy company produced a line of kubrick figures called Mez-Itz. 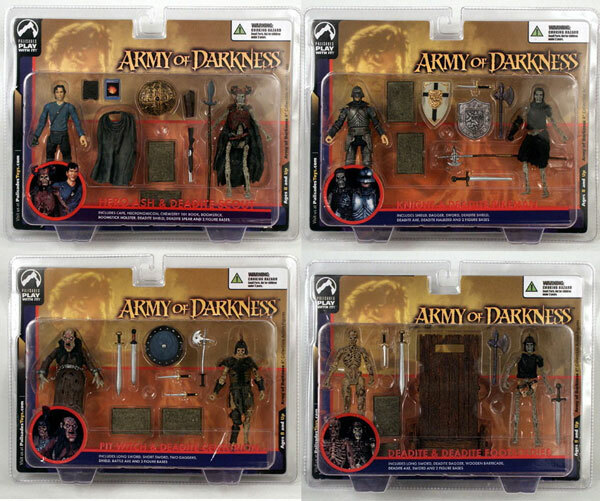 Of course they had to make a set of Army of Darkness figures. 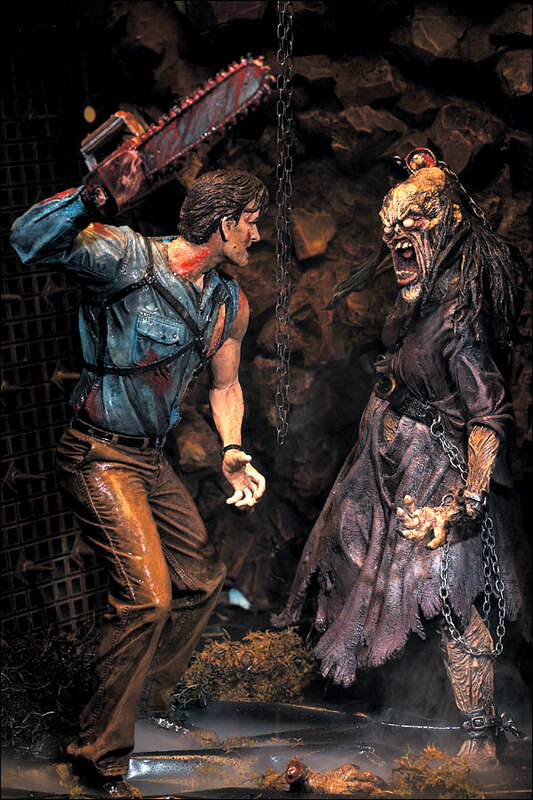 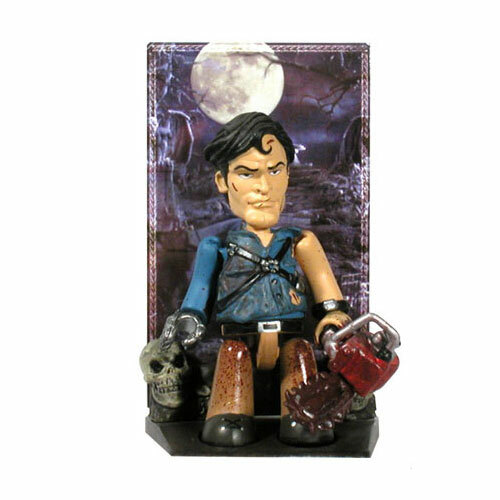 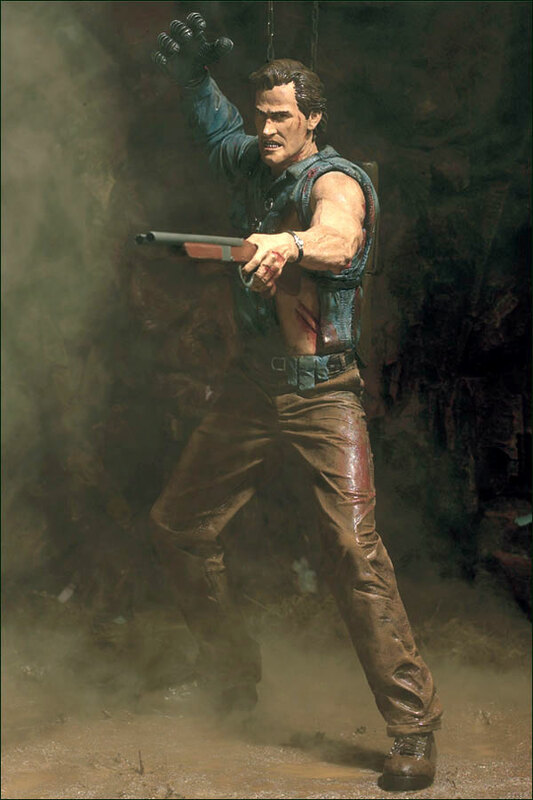 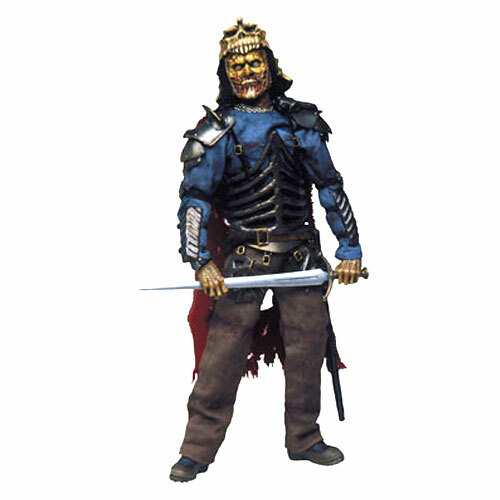 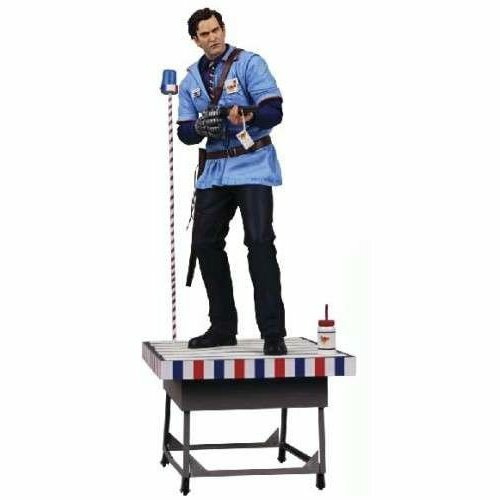 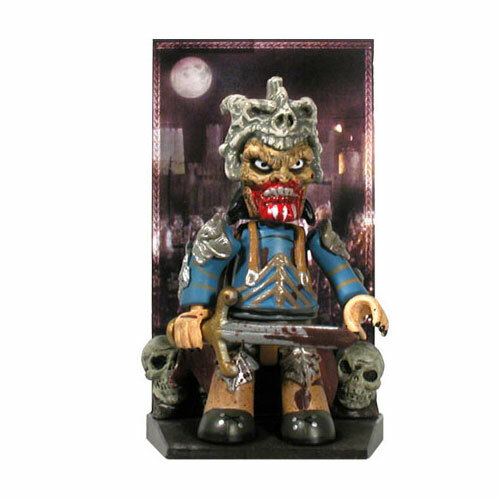 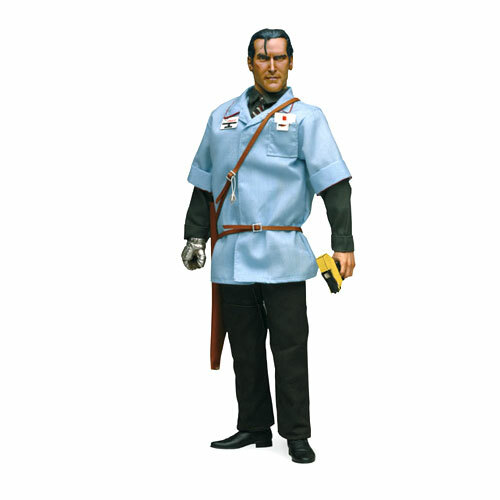 Palisades Toys before going out of business in 2006 produced two series of 4″ scale Army of Darkness figures. 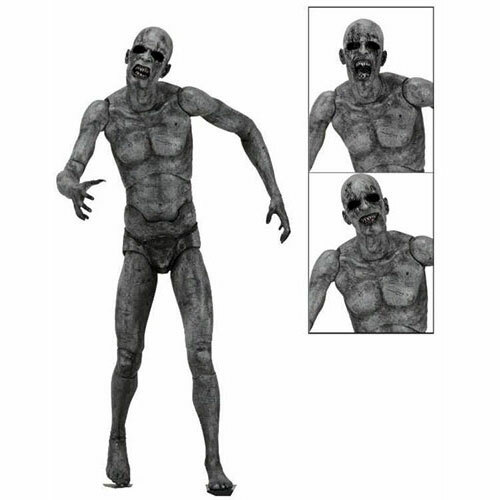 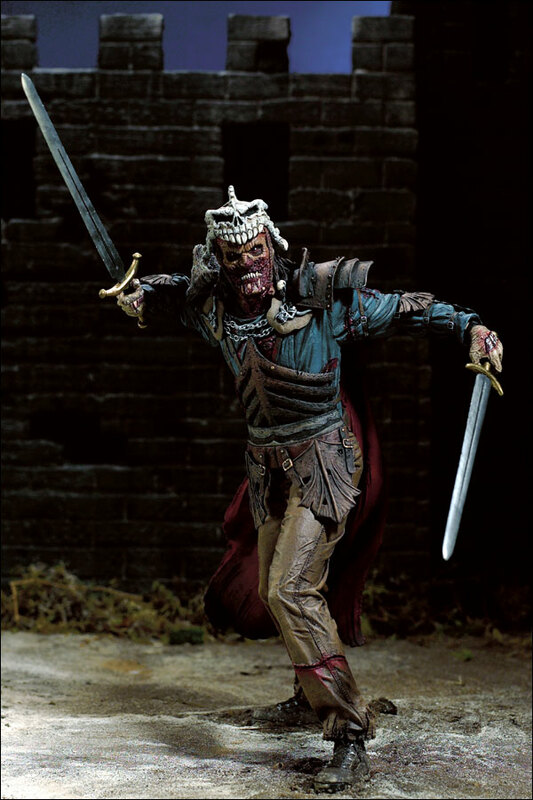 The figures themselves were highly detailed and featured many points of articulation. 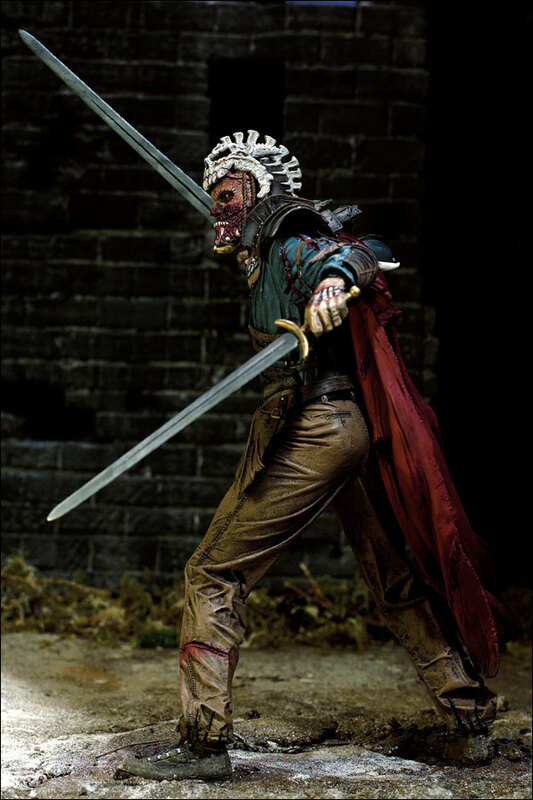 Unfortunately they closed their doors in 2006. 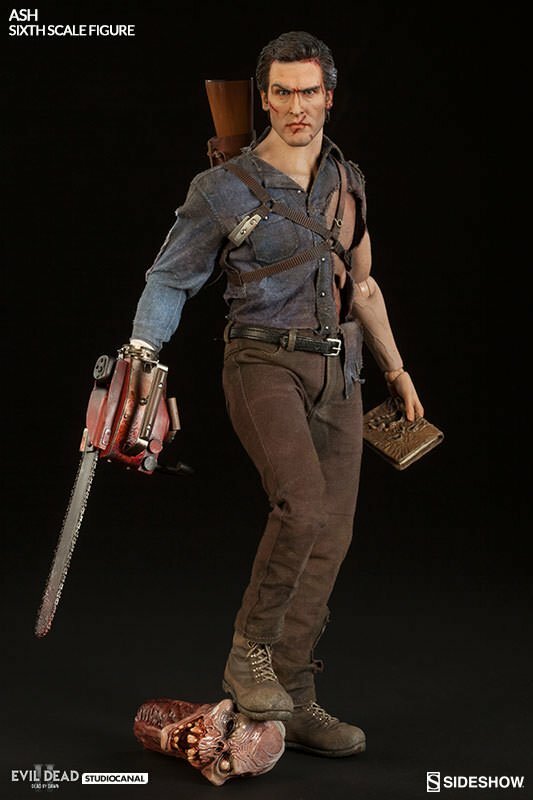 From the cover of the smash Army of Darkness comic book series Ashes to Ashes artist J. Scott Campbell’s rendition of Ash is now available as a Dynamite Statue! 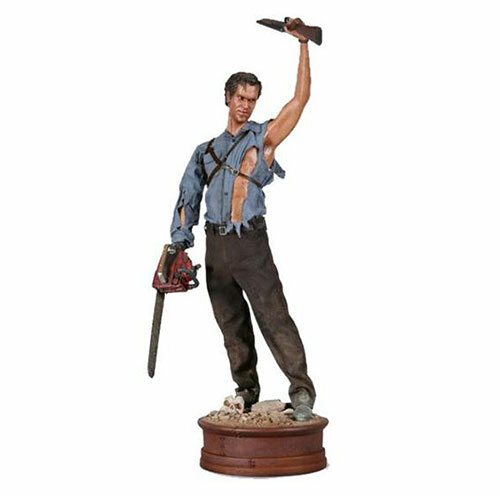 Sculpted by Anthony Colella and standing a full 13 tall this piece captures every bit of the essence of Campbell’s fan-favorite cover. 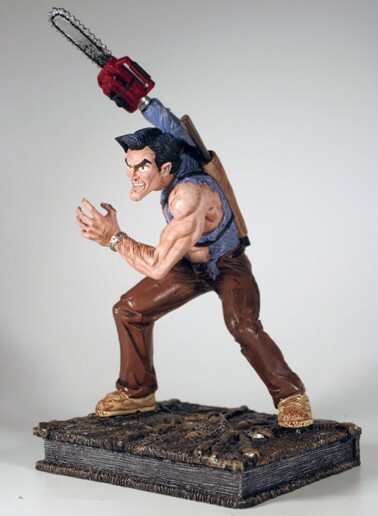 The largest distributor of comics in the US produced several Army of Darkness busts and statues not to mention plushies. 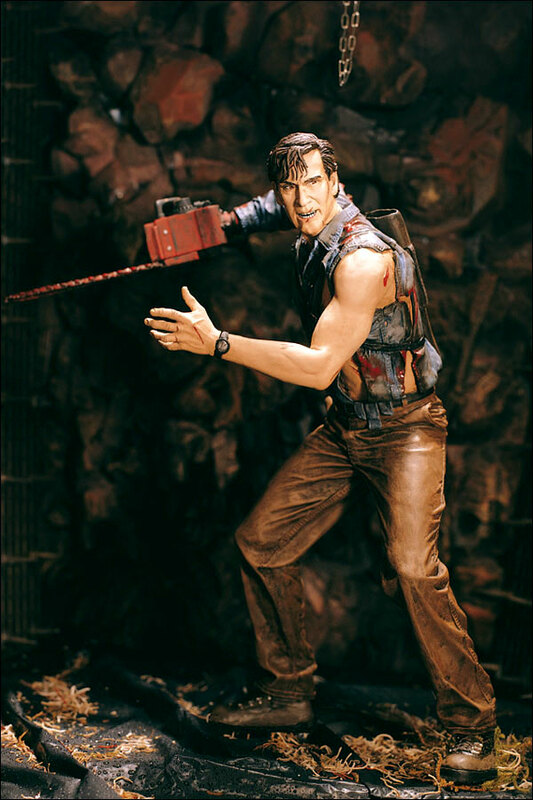 Sideshow Collectables a specialty manufacturer of licensed collectable figurines. 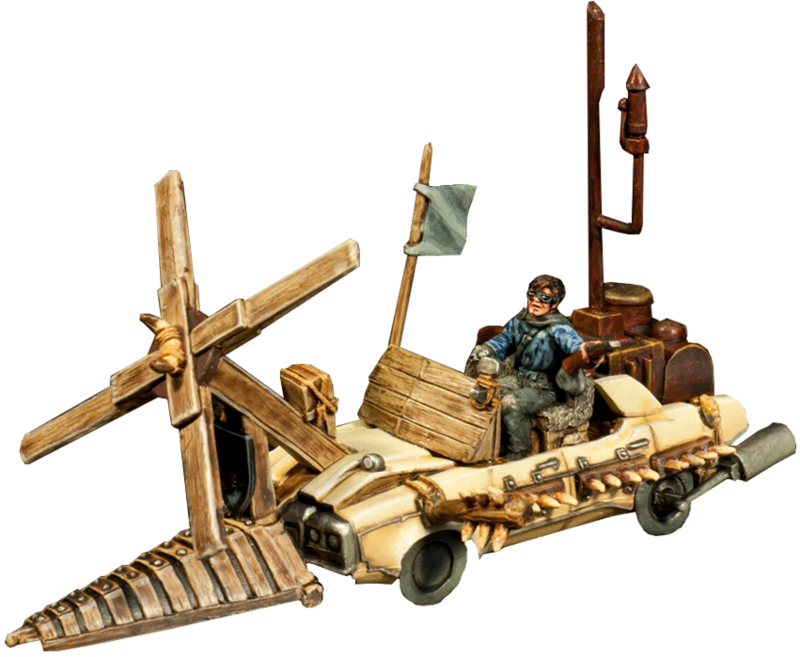 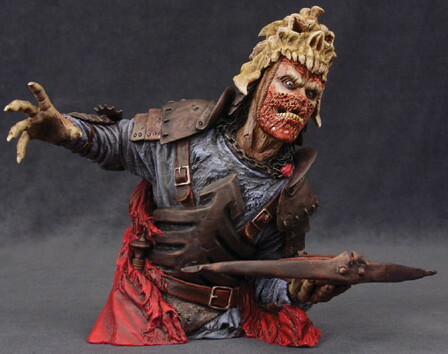 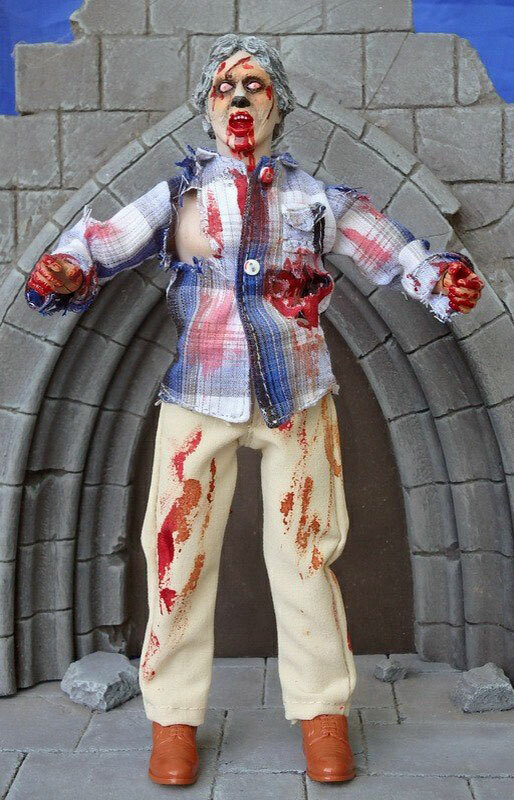 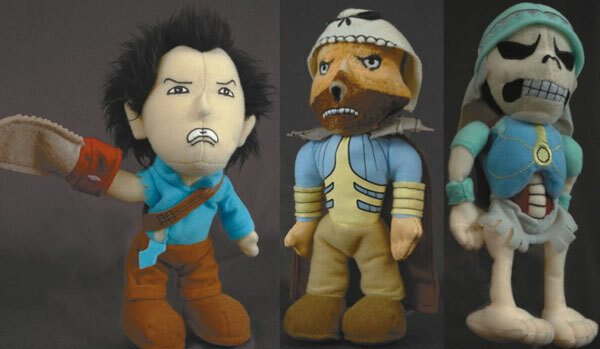 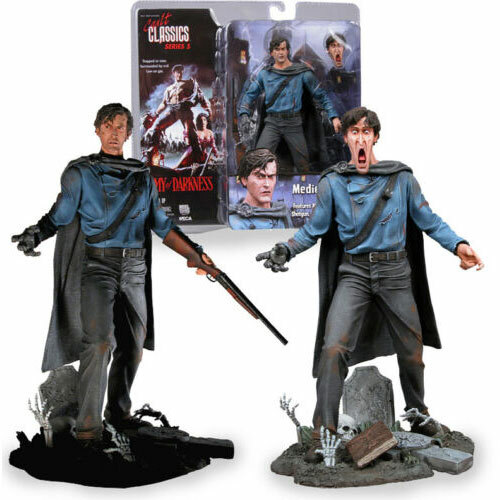 The joined the Army of Darkness bandwagon with a set of limited edition 12 inch doll figures. 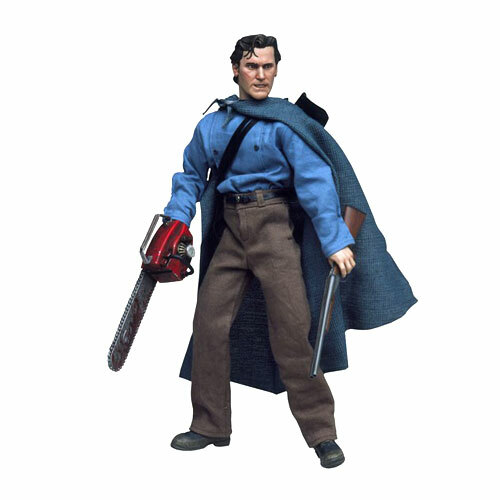 The Ash figures were limited to 3,000 figures each while the Evil Ash was limited to 10,000. 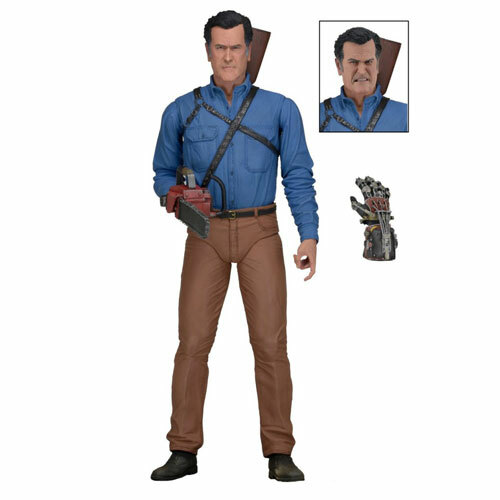 They also offer a 20″ tall premium format Ash figure. 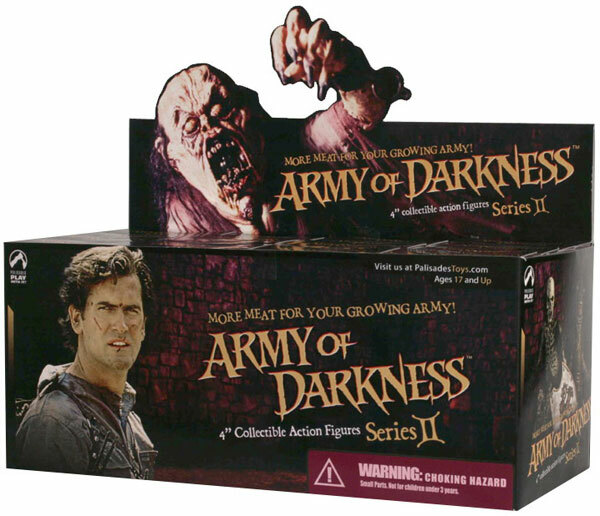 Leading Edge Games was an American game company that produced role-playing games and game supplements including Army of Darkness. 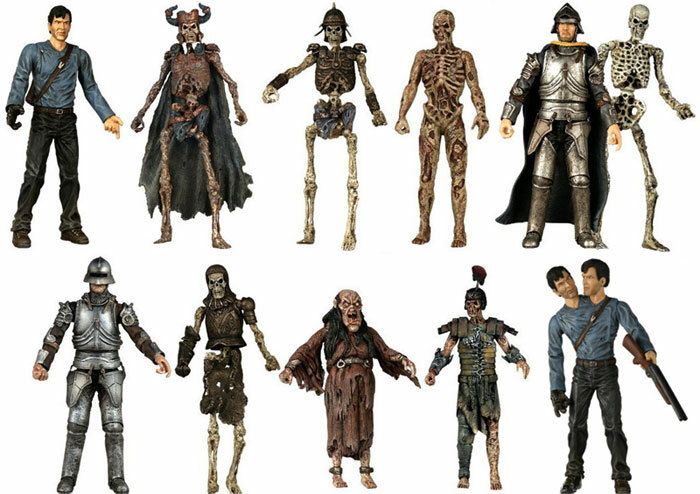 Between 2000 and 2005 McFarlane Toys released several Army of Darkness figures and bundle packs in its Movie Maniacs line. 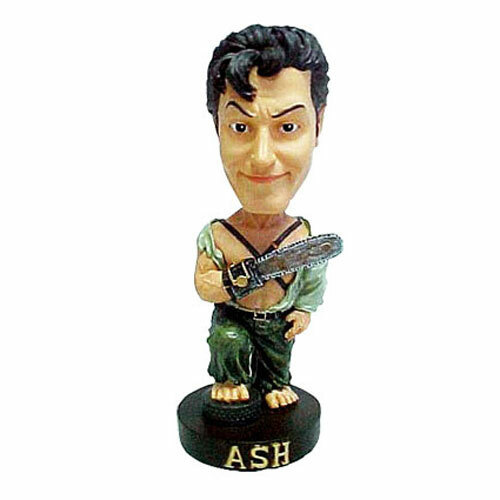 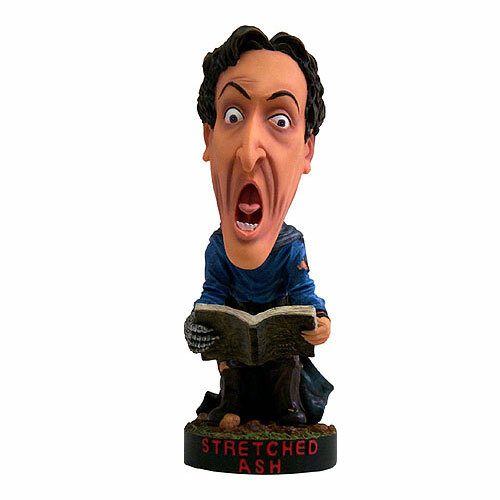 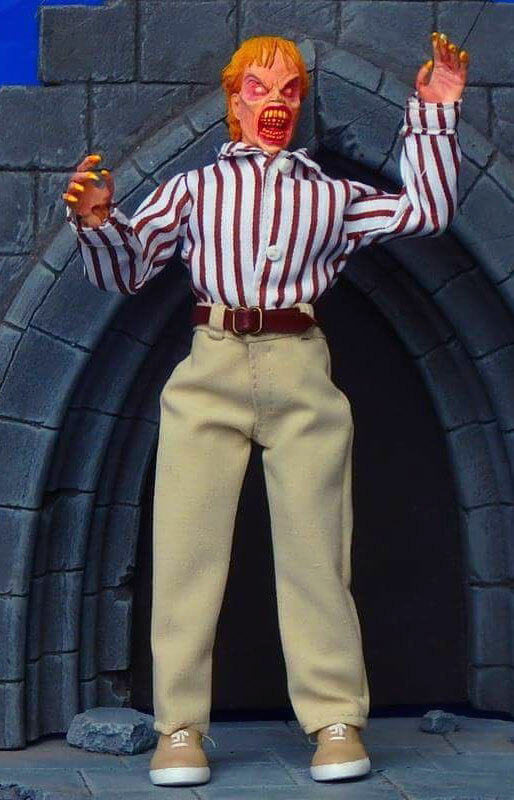 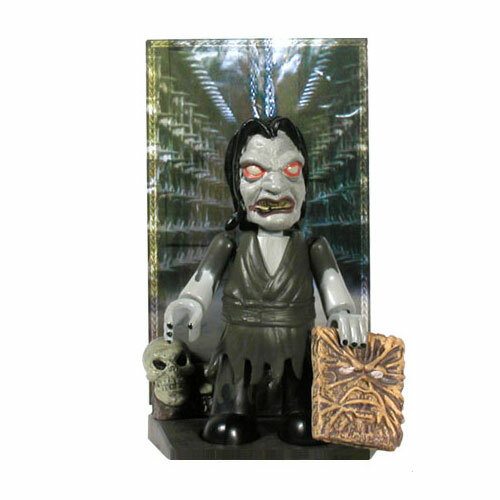 In 2000 we got our first commercial release of an Ash figure in the Movie Maniacs series 3. 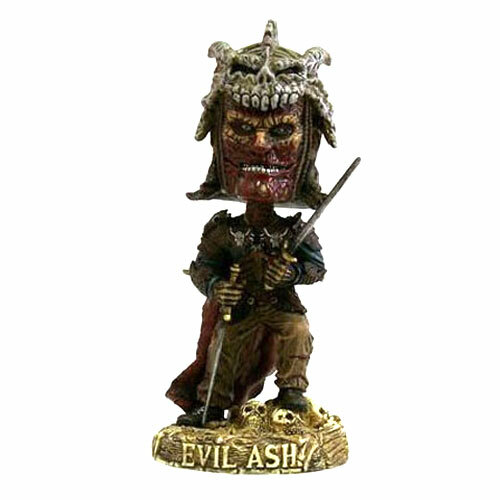 2001 saw the release of the first Evil Ash, an 18 inch talking Ash, and the Pite Deadite. 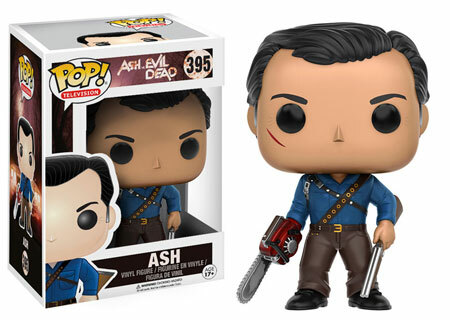 A special double pack bundled Ash and the Pit Deadite. 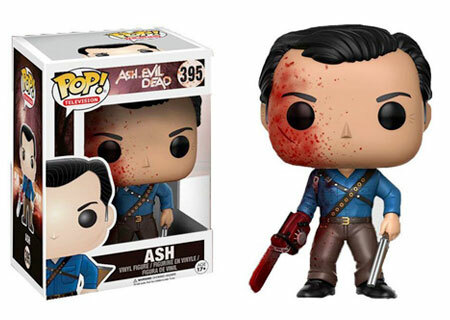 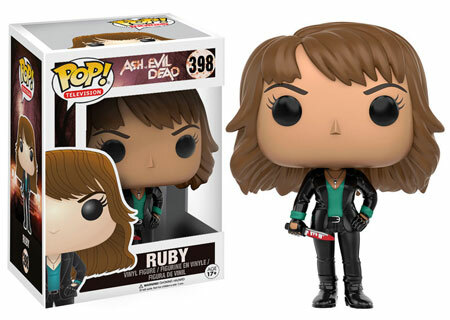 Finally in 2005 we get an Ash/Evil Ash bundle pack. 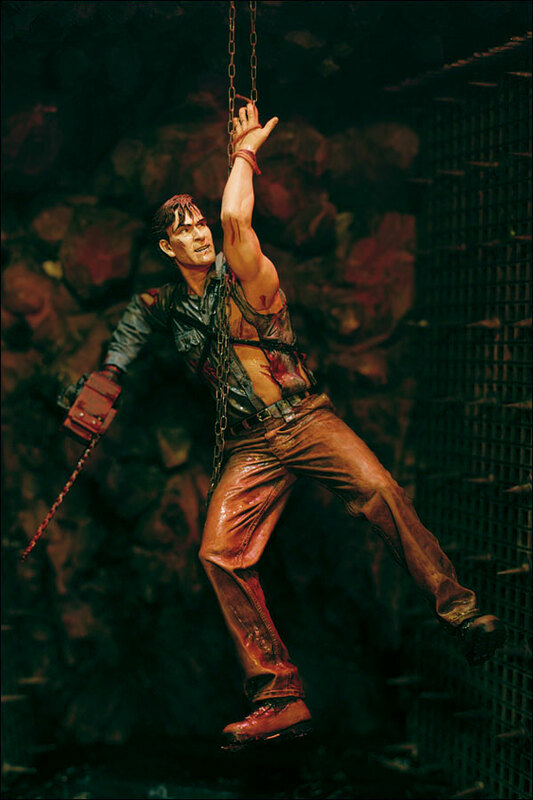 Overall Mcfarlane did a poor job with Ash. 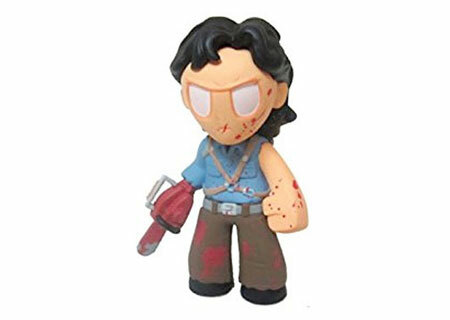 The likeness of Ash was just not there although hey did a nice job on Evil Ash and the Pit Deadite figures. 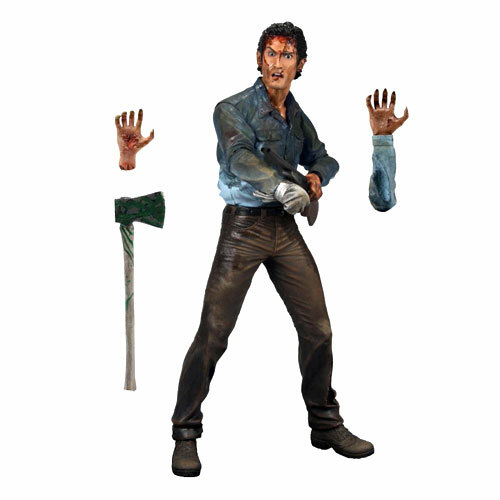 The figures featured a few points of articulation but were meant to be displayed, not played with.